Diane Savois Dubois grew up in New Orleans (Algiers). After graduating from St. Mary’s Dominican High School, she attended Louisiana State University and earned her B.S. in Animal, Dairy, and Poultry Science. She graduated from the LSU School of Veterinary Medicine in 2008 and has practiced on the Westbank since then. She and her husband Matthew and their son Lucas enjoy camping and the outdoors. They have 3 dogs, 1 cat, 1 gecko and 3 snakes at home. Dr. Dubois’ professional interests include soft tissue surgery and internal medicine. She takes pride in her dedication to her profession and her compassion for animals. Jenny Esteve has worked in the veterinary field since 2002 and has lived on the Westbank most of her life. She graduated high school from Mount Carmel Academy and attended Loyola University of New Orleans for undergraduate school. Dr. Esteve received her doctorate of veterinary medicine from Louisiana State University in 2008 and has had the privilege of practicing small animal medicine ever since. Her husband Brian and their daughters Mallory and Ellie would not be complete without their cat named Chug and their Golden Retriever Koozie. A problem solver at heart, Dr. Esteve loves internal medicine and takes pride in being there for her clients and patients throughout every aspect of the human-animal bond. Dr. Amy Stanton grew up in the Midwest where she developed her love of animals. She moved to New Orleans with her husband, Jared, in 2010 for college. While he finished up work on a master’s in film production, Amy pursued a degree in biology at the University of New Orleans. 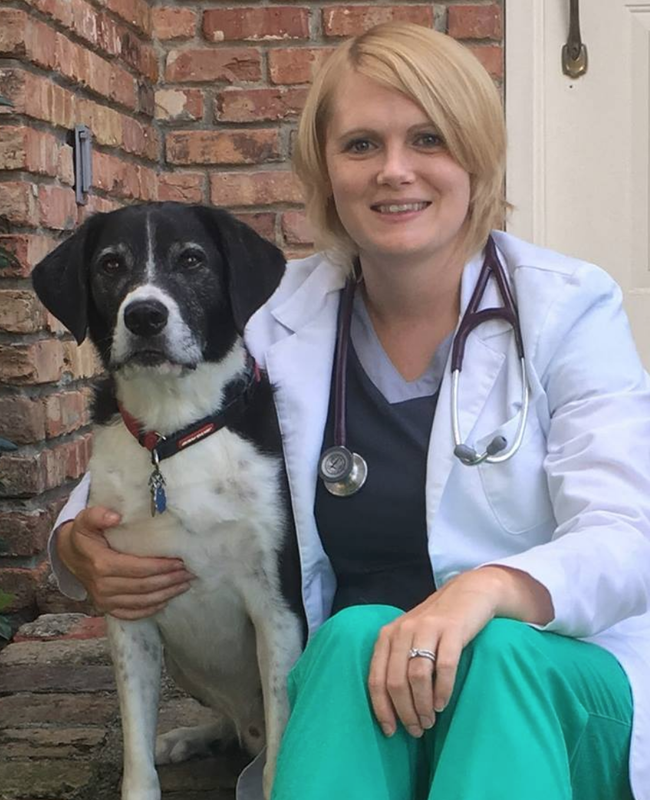 Following the completion of her undergraduate studies, Amy attended the Louisiana State University School of Veterinary Medicine where she further developed her skills in small animal medicine. Amy graduated from the LSU SVM in May 2018. Amy and Jared’s fur family consists of their three cats: Baby, Beaker, and Ringo, and loveable dog, Indy. Amy has a broad interest in both feline and canine medicine. Outside of work, Amy has started to embrace her adventurous side. A few years ago she received her scuba diving certification. Additionally, she and her husband have begun to travel the country in an attempt to explore all of the great National Parks. Autumn graduated from Delgado’s Veterinary Technology Program in May of 2014 and is currently studying to become an RVT. She and her husband Horace have a furry child named M.C. (cat) and a baby girl named Harper. She has always had a love for animals and a passion for helping people. 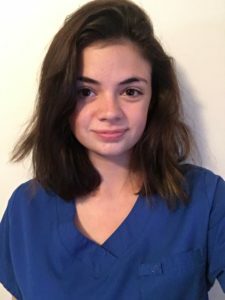 Autumn is devoted to caring for our patients and making sure our clients understand everything they need to know about caring for their four-legged babies. Seeing how much people love and care for their animals makes her even more passionate about her job. Melinda is one of our veterinary assistants. She has been in the pet care field for over 16 years. Melinda and her husband of 35 years have a dog named Gidget, two cats, Nicky and Nola, two tortoises, and her Pekin duck, which have taken over their backyard. April is one of our receptionists. April has been working in the veterinary field for over 20 years. April and her husband Clint have three sons (Tyler, Devin and Landon), a Daughter in law (Kalyn), and three grandchildren (Kane, Royce and Novaleigh). Their home would not be complete without their many fur babies. Brooke is one of our receptionists. She is currently in school at UNO for accounting and has over five years of customer service experience. Brooke knows how to make all of our clients feel welcomed to our facility! She has 2 dachshunds at home. Jessica is one of our kennel assistants. She is currently enrolled at Penn Foster to become a Registered Veterinary Technician. Jessica has two adorable Frenchies named Oliver and Aubie, and a chunky kitty named Pickles. She has always had a love for animals and volunteers at the local animal shelters in her spare time. Ashley is one of our kennel assistants. She has been working in the animal industry for over 3 years. Ever since she was a little girl, she has wanted to work in the animal field. Ashley loves spending time with her daughter Ava, her boyfriend and their cat, Nori, whom they love and spoil very much! own rescue organization or retirement home for animals in the future. Vicki is our groomer. She has 16 years of professional experience as a groomer and does an amazing job with each and every groom. Vicki and her husband share their home with three cats Thelma, Louise, and star, and two dogs Jade and Della.